The cardboard cycad (also called the cardboard palm, but like with the sago palm it's not even remotely related to a true palm) is native to the Veracruz region in Mexico and was once a dominant species across much of the Caribbean region. Now, it is listed on the IUCN Red List as vulnerable, the category listing before becoming endangered. Due to habitat loss and climate change, this species will more than likely go extinct in the wild in the next few generations if an intense conservation effort is not started. Unlike the last cycad that I featured on my blog, the sago cycad (which you can read all about HERE), the trunk of this species almost always grows underground. It could almost be called a rhizome, except it grows down from the Earth's surface as the rest of the plant grows upwards. If the cycad is grown in a pot like this one is, except for a dense, woody area at the soil surface there is no stem at all. Incredibly unusual, especially for a cycad! Another really neat feature about this plant is the direction of the leaflets in full sun versus in the shade. Like many other shade-tolerant species, the cardboard cycad is very sensitive to full sunlight and can get a sunburn very quickly. This species has evolved a mechanism to prevent sunburn by orienting its leaflets to minimize the surface area that comes in direct contact with sunlight. In full sun, the leaflets point straight up to the ski so that only the edges of the leaf are in full sun. The rest of the leaflet absorbs light as it filters down through the leaves. In the shade, the leaflets are completely horizontal to absorb as much of the filtered light as possible. On the same leaf, you will probably find leaflets oriented horizontally, vertically, and all angles in between! If you decide to purchase one of these plants from a greenhouse (either as an indoor tropical plant or as an outdoor landscaping plant), please make sure you do your due diligence and find out how that particular plant was grown. The only way of propagating this species is via seeds (the plant cannot tolerating being propagated by cuttings or offshoots of the main stem), and this is incredibly difficult to achieve in a greenhouse. For this reason, many young Zamia plants are hunted in the wild every year to support the ornamental plant industry. This needs to stop if we want to protect this species' wild populations! Like the sago cycad, the cardboard cycad is incredibly toxic to humans, and consumption of any part of the plant, raw or cooked, can lead to death via kidney and liver failure. 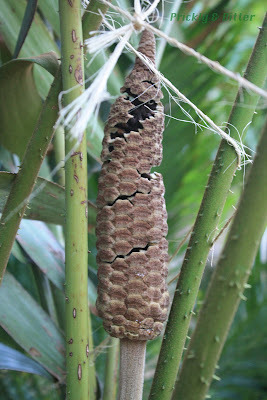 As there is no known treatment for cardboard cycad poisoning, if you decide to tempt fate by eating a seed, you will regret your actions in due time. 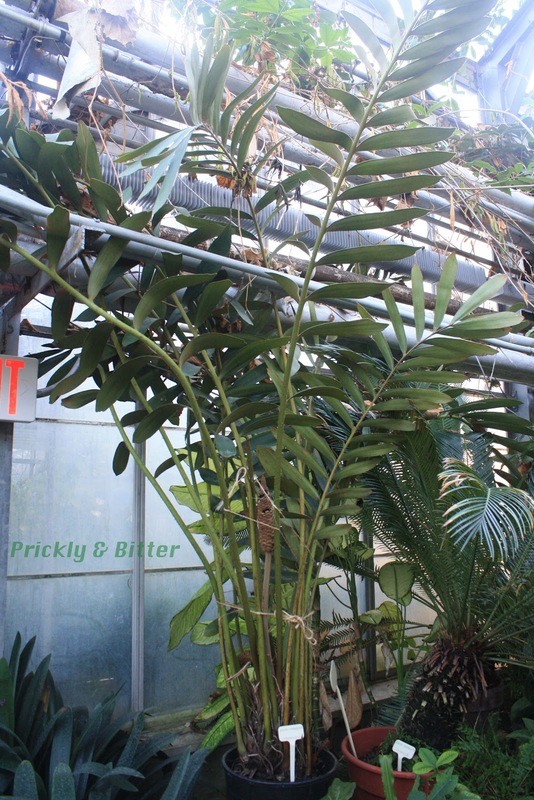 If you have children or pets, this plant is not recommended as a garden or indoor plant under any circumstances (it readily produces seeds in cultivation). 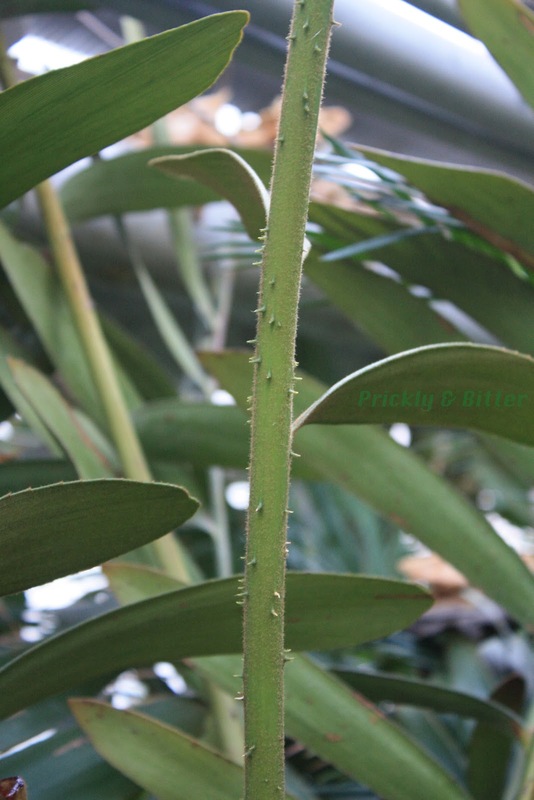 Also take care when gardening around this plant or walking around in areas where this plant grows naturally; the spines on the leaf petioles are incredibly sharp and contain a drop of toxin at the tips. Touching the spines won't do anything since it can't be absorbed through the skin, but if it breaks the skin you will get very, very sick (although luckily death is unlikely). This plant is not to be messed with!